Dry eye syndrome occurs when we are not able to produce enough tears or when our tears are too thin. When our eyes are not properly lubricated, our vision and comfort can suffer greatly. Thankfully, there are treatments and alternatives to help address the problem. Elderly people frequently experience dry eye, but it can happen to anyone. 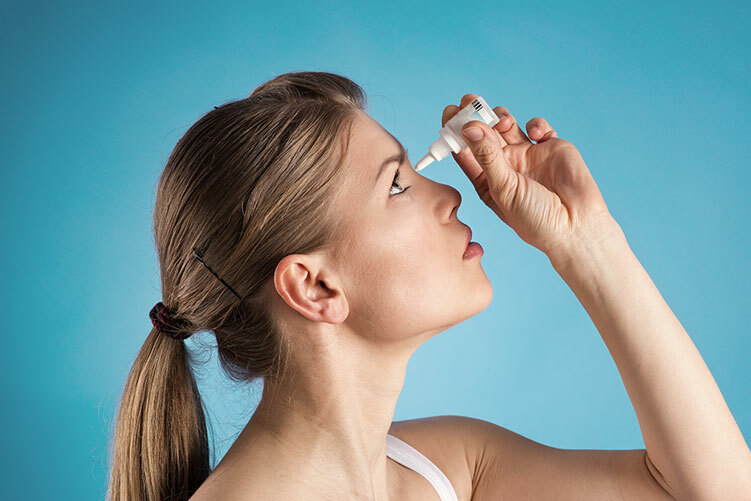 Medications, other diseases, obstructions of glands, hormone changes, and many various medical situations can create dry eye symptoms. To learn more about this condition, watch the video below. Talk to [DOCTOR NAME] if you are experiencing any discomfort in your eyes, or if you feel that you have insufficient eye moisture. Tears provide lubrication and reduce the risk of eye infection. They wash away foreign matter in the eye as well as keep the surface of the eye smooth and clear. Excess tears in the eyes flow into small drainage ducts in the inner corners of the eyelids, which drain in the back of the nose. Dry eyes can result from an improper balance of tear production and drainage. Advanced dry eyes may even damage the front surface of the eye and impair vision. The development of dry eyes may have many causes including age, gender, medications, medical conditions, environmental conditions, and more. Dry eyes can be a chronic condition, but your eye doctor can prescribe treatment. This will keep your eyes healthy, more comfortable, and prevent your vision from being affected. Specific treatments aim to restore or maintain the normal amount of tears in the eye to minimize dryness or related discomfort and to maintain eye health. For more information, schedule a visit with your eye doctor.